Task: Create an adapter for sticking fingers into electrical sockets. 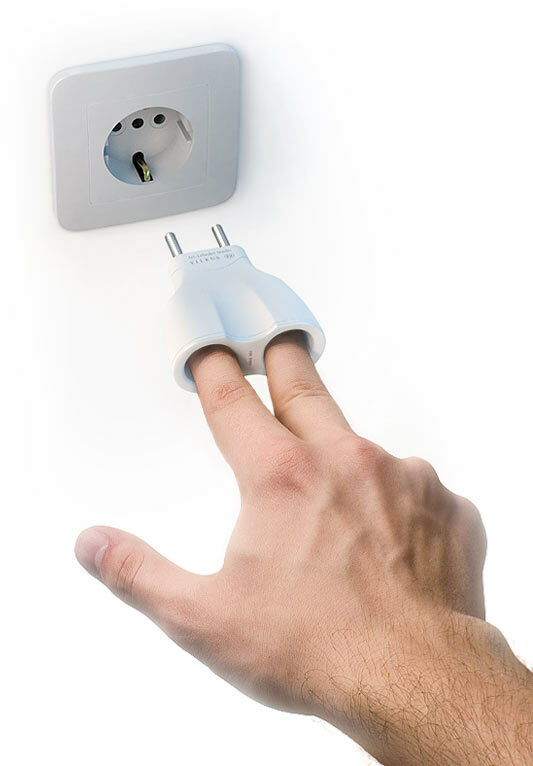 Vilkus dactyloadapter was developed specially for people who enjoy closing electrical circuits with their own fingers. 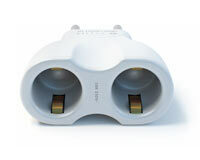 Many people get a kick out of direct contact with AC power supply. To that end, people normally use U-shaped fragments of bare wire, paper clips or even usual metal forks. All these gimmicks are unreliable, short-lived and, most importantly, tend to cause short-circuit failure or even inflammation. Here is a limerick: There was a small girl indiscreet / Who asked her mom for a sweet. / Mom said, Aye, its here in my pocket! / Go stick your lil thumb in a socket! Clearly, the idea is ill-conceived. For one thing, the desired effect would not occur if you used just one finger. 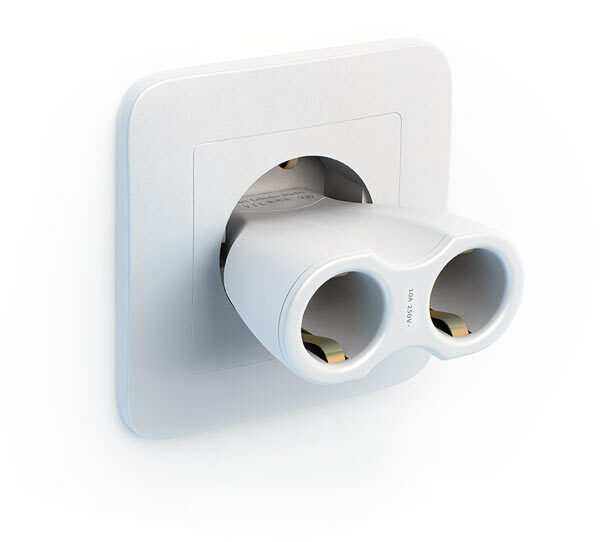 For another, regular household sockets are designed to preclude any finger abuse, child or non-child. 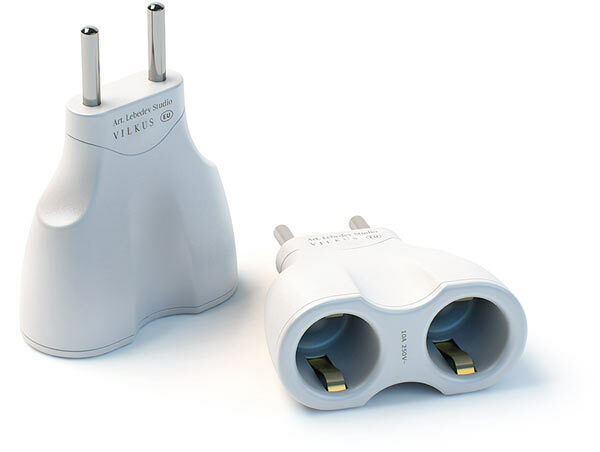 Vilkus does not itself consume power, so you can leave it plugged till next time. Avid travelers will appreciate the replaceable plugsfor European and American socketsthat are part of the standard package. 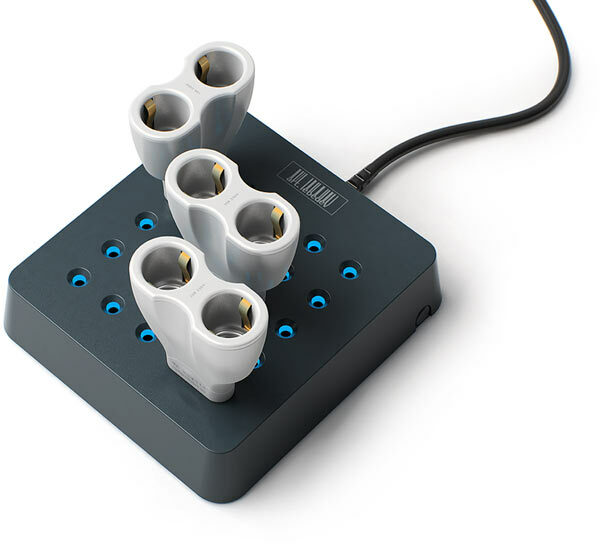 For group sessions, Vilkus users may obtain Rozetkus power strip designed by the Studio.